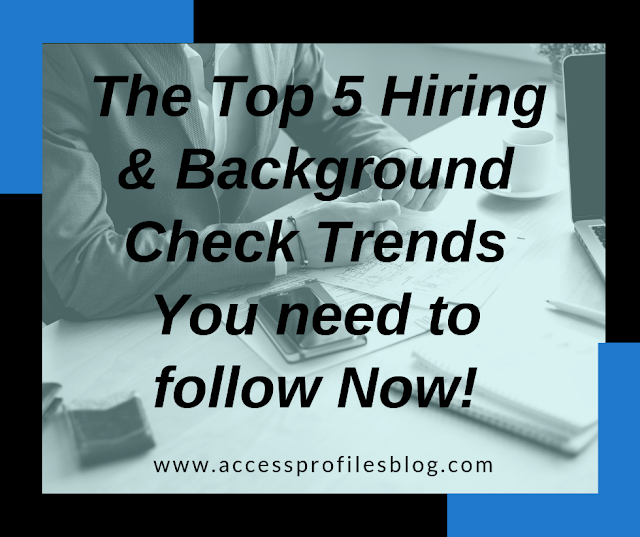 The Top 5 Hiring & Background Check Trends and Guidelines You Need to Follow Now! Do You know the current Trends and Guidelines you should be watching when it comes to Employment Background Checks? Keeping informed of any new and emerging laws and guidelines is important in ensuring your hiring and employment screening practices are working for and not against you! 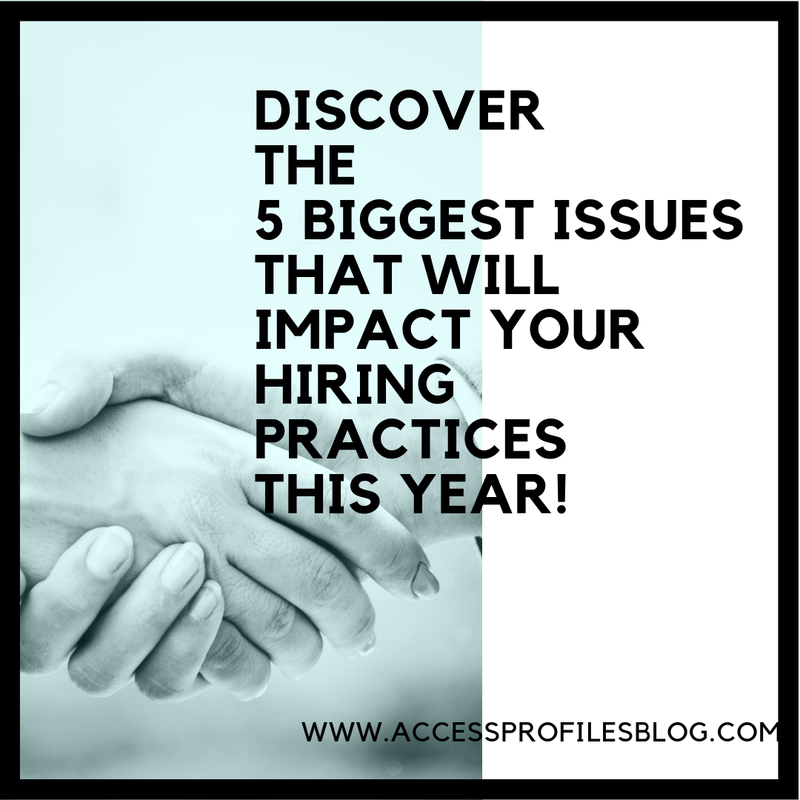 Here you will find our picks for the Top 5 Employment Background Check Trends and Guidelines that will effect your business this year! When it comes to hiring, it is crucial that employers understand and follow all current laws, guidelines, and procedures that govern employment background checks. And that process all starts with using a compliant background check authorization form! Despite continual warnings and guidelines, many companies continue to use old and non-compliant forms. And just as many are finding themselves on the wrong end of a lawsuit because of it! Be a Stand Alone document. State the Background Check is being done for the sole purpose of making an employment decision. 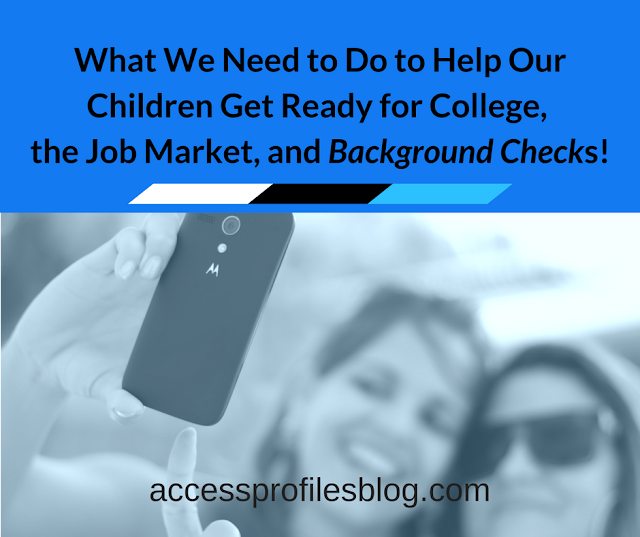 Explain the purpose of the background check is to verify the applicant’s relevant information. State clearly that the applicant’s consent to the Background Check may be withdrawn at any time. Include information on the Investigating Agency conducting the Background Check. Discover more about these 6 important rules to follow for a compliant background check authorization here and why you need to make any necessary adjustments to your release form now! “Safeguarding your customer’s and client’s personal information should be a top priority for any company. But when it comes to background check investigators, it is even more crucial. By default, screening companies are privy to the Personal Identifying Information (PII) of the person they are researching. 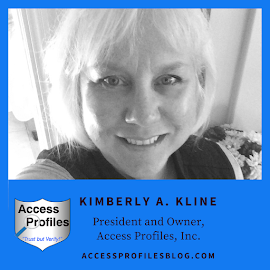 Full names, along with any previous names used, date of birth, social security number, driver’s license numbers, present and past addresses, and many other pieces of information are routinely gathered on each individual that is the subject of a background check. Many are understandably wary of providing this information to anyone, even if it is necessary to get the job. That is why it is imperative that any Background Check company do everything they can to put the applicant and the employer at ease. For many job seekers, the days of having to take a job, any job, seem to be over. Instead, low unemployment puts them in the driver’s seat. Good candidates are likely to get multiple job offers and will be able to choose the one that is right for them. So what should employers do? Taking the steps necessary to make sure your company appeals to the best candidates possible is your best course of action. Those steps should start with your hiring process. Make sure it is as smooth and “applicant friendly” as possible. You also need to know exactly what skills are essential to your open position, and consider being more willing to hire those that may not meet each and every one. And, above all, employers need to establish steps to keep communications open between you and your applicants throughout the entire process. Learn what you should do to address each of these issues, and more, in “Hiring ~ What You Should do now to Attract the New Hires You Need”! Low unemployment is resulting in more companies finding themselves in competition to land the employees they want and need….and that can even include expanding their applicant pool to include ex-offenders. “While this may scare some employers, if your company is not prohibited by law from hiring anyone with a criminal record, this news does not have to be all doom and gloom. It is possible to balance cautiousness with fairness when it comes to hiring ex-offenders. That is why doing thorough employment background checks still needs to be part of the equation. What crime(s) has your potential new hire committed? How long ago did the offense occur? Is there a pattern of criminal behavior or is it a single offense? Does the offense has any bearing on the job for which you are hiring? Having this information will help you make an informed hiring decision. And if you decide to give an ex-offender a second chance, there are also some real benefits both tangible and intangible”. Find out more about these benefits and how to hire safely here! If you are still asking for salary history during your hiring process, stop now. As an employer, you should already have a salary range in mind for any position within your company, so past salary should not matter. The only relevant variable is the experience the applicants themselves bring to the table. Many cities and states have passed, or are planning to pass, legislation to prohibit the salary history question. Supporters of these laws believe that asking for past salary is simply a way to continue paying less to women and minorities. “The trend to curb or eliminate the question of salary history will likely continue as more states and cities begin enacting their own regulations governing the practice”, excerpt from “Are You Still Asking for Salary History? Why You should Stop Now!” . You should make sure your business is ready to comply with any existing or potential laws in your area and consider eliminating for good the practice of asking for salary history during your hiring process. Continuing to do so will not only give pause to your potential new hires, it may result in unwanted litigation. The time is now for you to take note of these top 5 employment trends and guidelines effecting Employment Background Checks and Hiring this year. Start by looking at your hiring policies and practices to see if they are in compliance and, if necessary, re-vamp them to address these issues. Then consider what you can do to increase your chances of finding the best new hires for your business. Taking these steps will not only protect yourself and your company from potential litigation, you will have created a hiring process that is fair and transparent for all! Contact API Today for solutions to your most pressing Hiring and Background Check problems! We can Help! Discover more About Us and our Background Investigation, Business Mentoring, and Security Consulting services too!